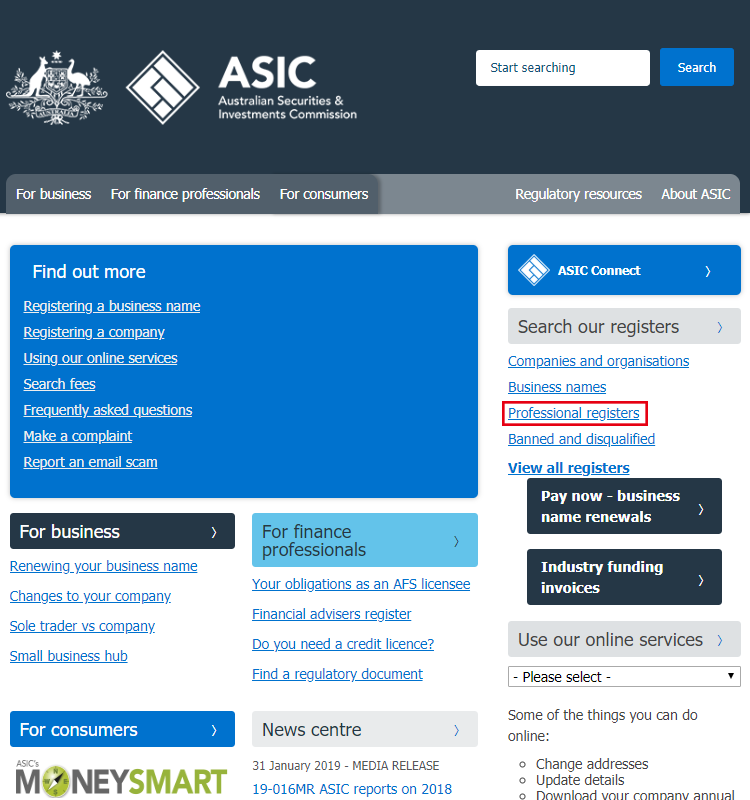 The Australian Securities and Investments Commission is an independent Australian government body that acts as Australia's corporate regulator. 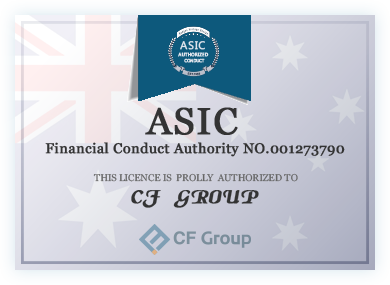 ASIC's role is to enforce and regulate company and financial services laws to protect Australian consumers, investors and creditors. 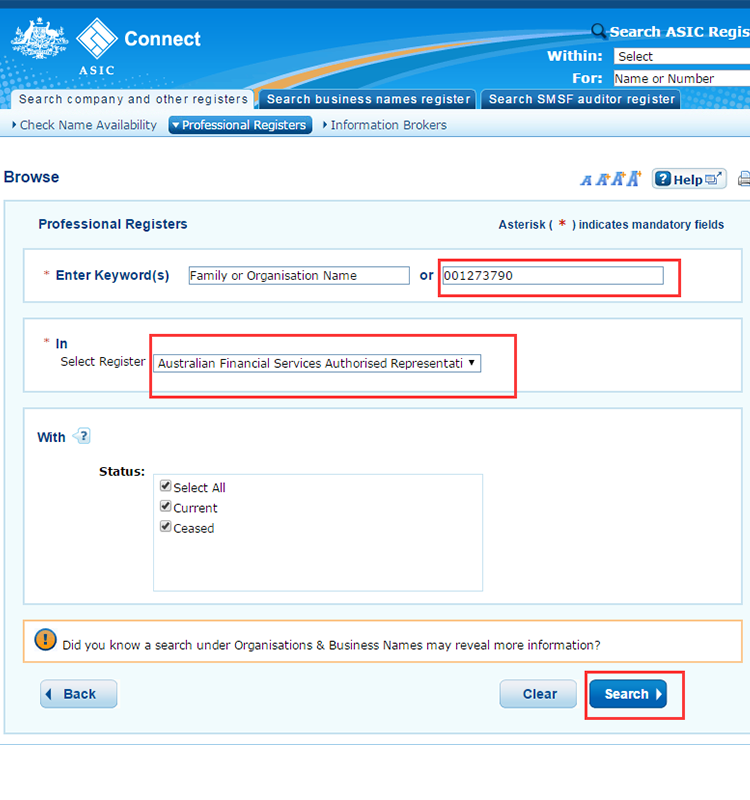 How to check ASIC authorization? 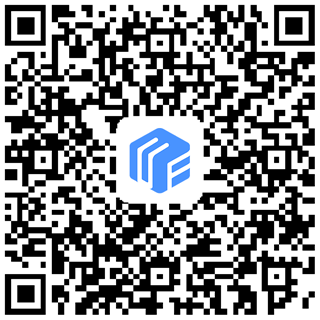 Visit Official website of ASIC and follow steps as below. 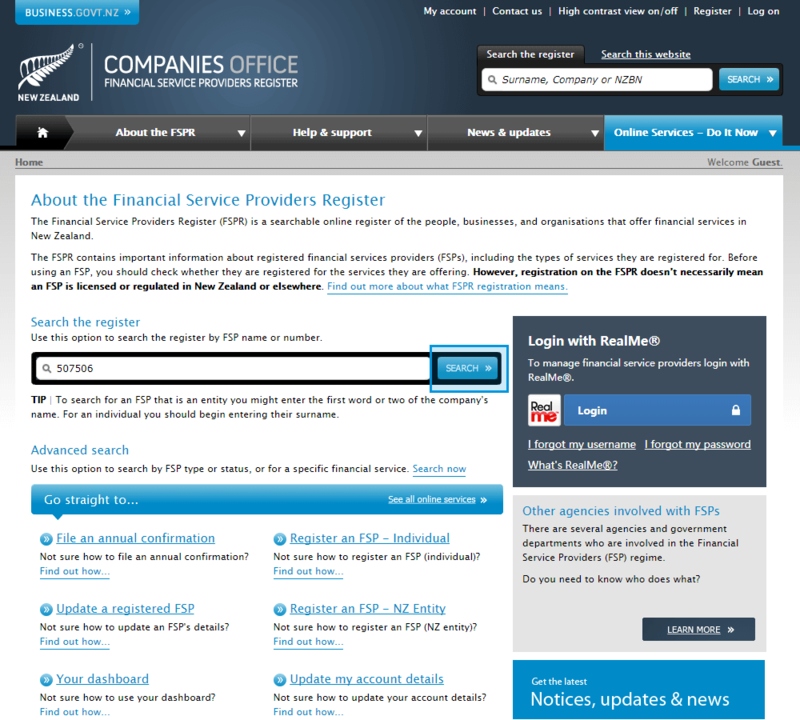 The FSP refers to Financial Service Providers. 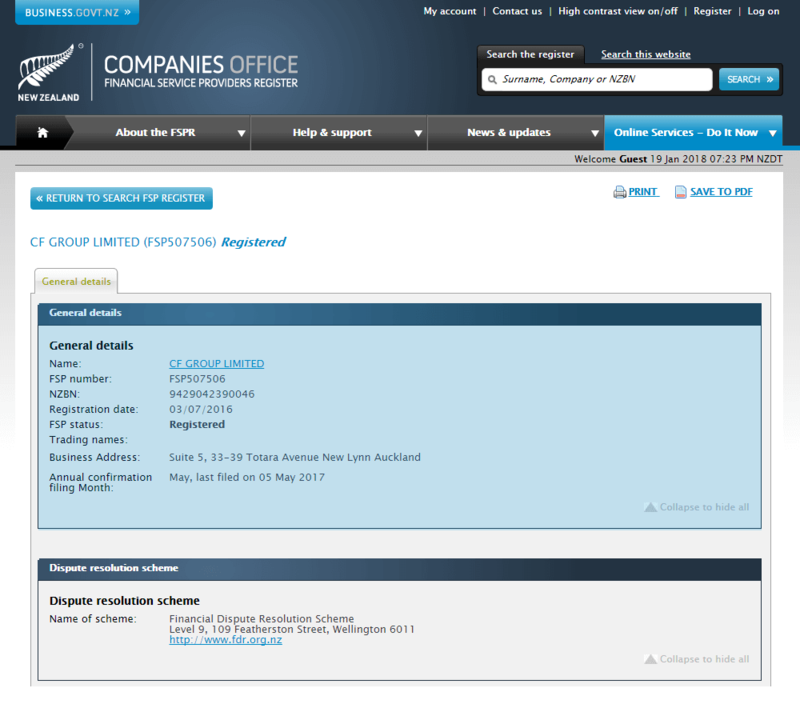 According to the stipulation of the NZ government, any financial service provider in New Zealand must be reviewed and registered on the Financial Service Providers Register in order to legally conduct a financial service business. 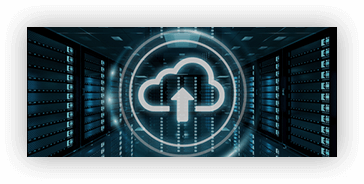 Besides, all applicants must be members of the Financial Dispute Resolution (FDR) before providing services for retail customers. 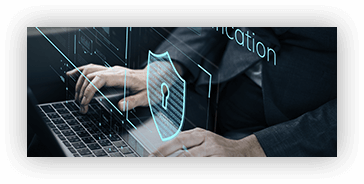 The FSA is able to exercise effective regulation over foreign exchange dealers, funds, banks, insurers, securities business, precious metals trading and investment consulting firms. 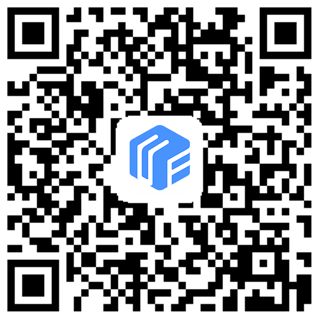 How to check the FSP authorization? 3. 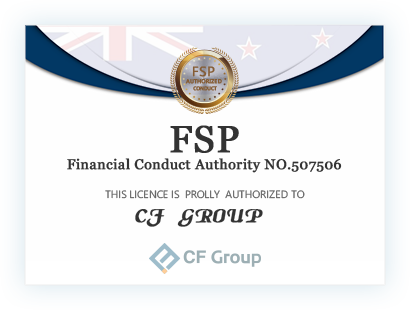 Click “CF GROUP LIMITED”, check the FSP authorization details including authorization time and status, contact information, etc. 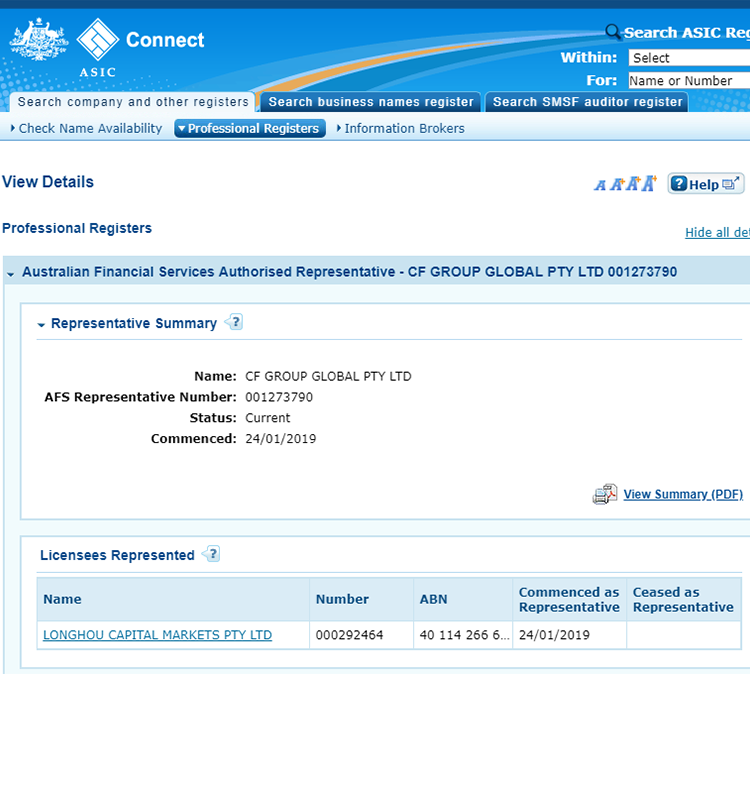 banks-ANZ and DBS and subject to regulation and lawful management. 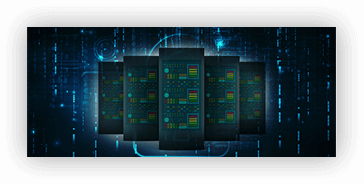 Risk warning: Leveraged products carry a high level of risk to your capital and you should only deal with money you can afford to lose. The value of investments can fall as well as rise and you may lose your initial margin payment. 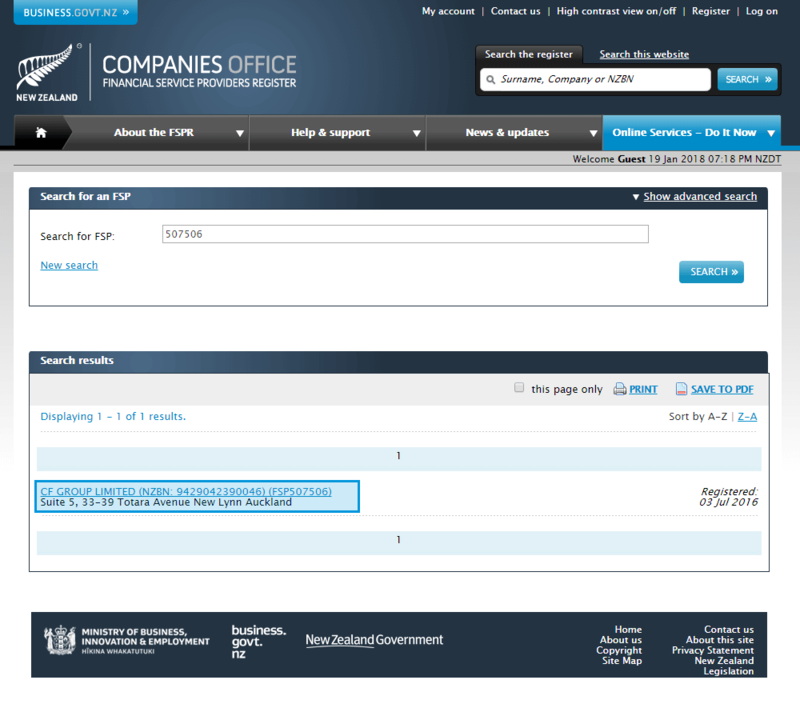 Please note that leveraged products may not be suitable for everyone, so please ensure you fully understand the risks. 10 or higher version is required for Internet Explorer Browser while 8 or higher version is required for 360 Browser to open this website.